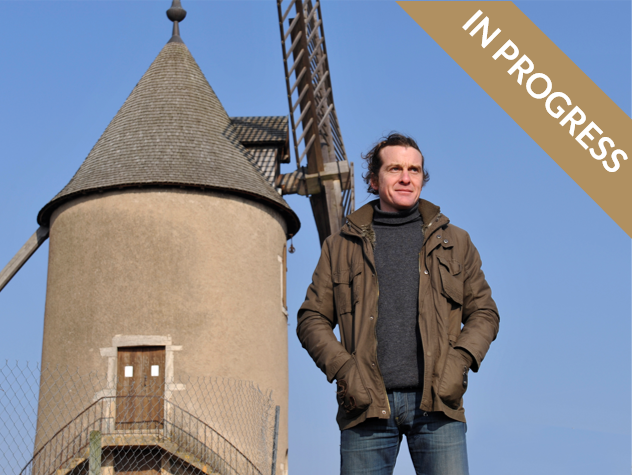 I created my domaine in 2007 in the village of Romanèche-Thorins, in the heart of “Moulin à Vent”, the most prestigious of all “crus” in the Beaujolais region. Today I work 6 hectares of vines in the beautiful appellation of Moulin à Vent and 1 hectare of vines in the appellation of Beaujolais Villages. All the work I do is organic. I am committed to working my soils and my vineyards with the utmost respect to reveal the full potential of these beautiful terroirs. I take care to vinify each of my plots separately and to adapt the vinification techniques according to the characteristics of each micro-terroir. You advance a sum of money to domaine Richard Rottiers to finance his project. 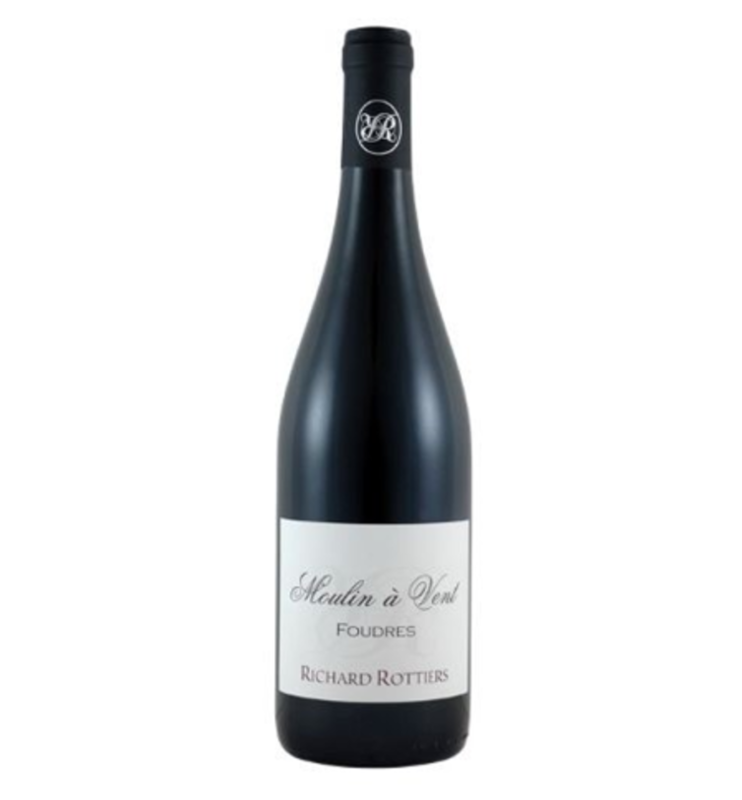 Domaine Richard Rottiers will repay your investment in wine delivered straight to your door over the course of three years: 3, 6 or 12 bottles depending on the plan you choose. 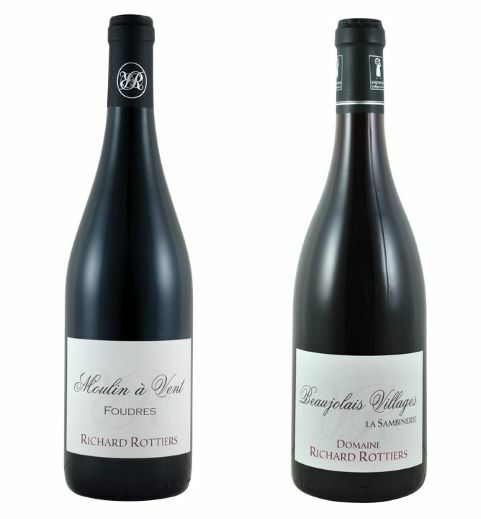 Domaine Richard Rottiers is offering several different wine plans to help fund the planting of a new vineyard. You may choose one or more of the following plans. The duration of reimbursement is 3 years for each plan. You will receive the first of your wines at the end of the financial campaign in 2019. Each year you will receive a new vintage. If you would like to discover the wines of the domaine from 2 appellations (Beaujolais Villages et Moulin à Vent) you may select from the following 3 plans to receive either 3, 6 or 12 bottles each year. You benefit from a discount of 11€, 47€ or 104€ off retail price depending upon the plan you have chosen. If you would like to receive exclusively the “Moulin à Vent” you may select one of the following 3 plans to receive either 3, 6 or 12 bottles each year. You benefit from a discount of 11€, 42€ or 94€ off retail price depending upon the plan you have chosen. I have an opportunity to farm 1.3 hectares of magnificent terroir in the appellation of Beaujolais Villages which I would like to plant in 2019. The parcel of Moulin Méziat is situated on the border of Moulin à Vent in the town of Lancié. The climate here is superb which will greatly assist bringing these young vines to yield exceptional fruit that I hope to guide into very pretty Beaujolais Villages. I am asking you to help me finance the planting and trellising of this plot so I may have the chance to make a great Beaujolais Villages from this site. 3 bottles for 3 years. 2 bottles Moulin à Vent "Foudre"
6 bottles for 3 years. 3 bottles Moulin à Vent "Foudre"
12 bottles for 3 years. 6 bottles Moulin à Vent "Foudre"
12 bottles Moulin à Vent "Foudre"
bravo pour ces vins délicieux et bon courage pour la plantation! Déja associé à plusieurs GFV en Bourgogne, j'avais vraiment envie de mieux connaitre les jeunes vignerons du Beaujolais. Le label Bio a été décisif sur mon choix du Domaine Richard Rottiers. Dans l'atetnte du plaisir de rencontrer le vigneron.